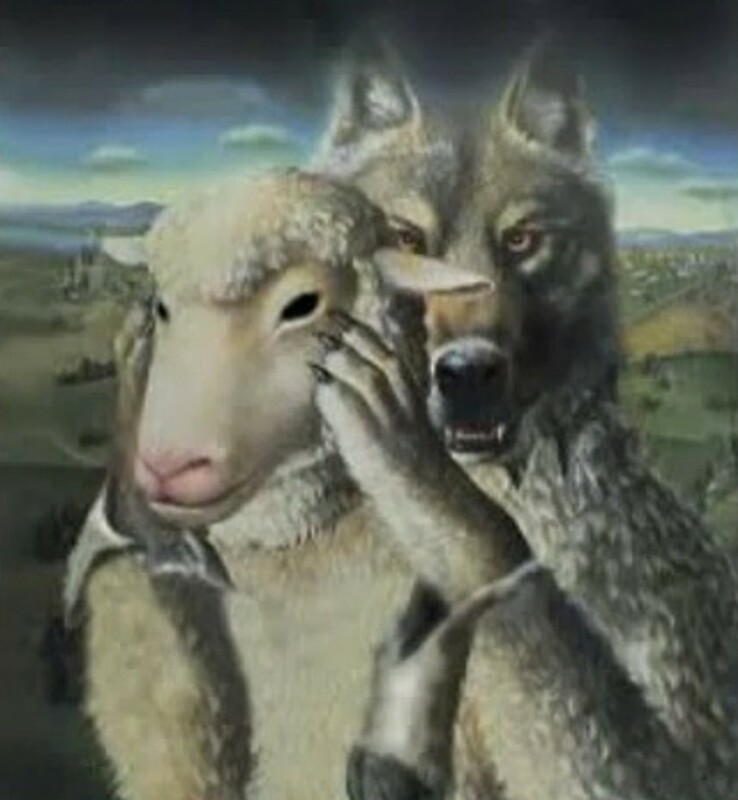 Jesus warned us that in these last days there would be false prophets, who would come to us in sheep's clothing, but inwardly are ravenous wolves. Now more than ever, we need to be on our guard against false prophets. So I'd like to examine this important task with you from Scripture, and also explain the difference between lies and L.I.E.S., both of which are dangers to the flock. First of all, the Lord gave some as apostles, and some as prophets, and some as evangelists, and some as pastors and teachers (Eph 4:11 NASB). They are to prepare God's people for works of service. And those who are in oversight of the church must guard the flock against these wolves. I simply mention that, because it is not really the responsibility of the newborn babe in Christ to be able to determine who is a false prophet or not. The responsibility primarily lies with the shepherds, not the sheep to defend the flock. So if you are in such a role in the church, whatever title you wear, then the onus is on you to test false prophets, who come into range of the flock you are tending. You cannot ignore the false prophets or neglect this duty of your ministry. God will hold you accountable. That said, each sheep does have a responsibility to grow up into the fullness of Christ, who is the head, so that they will no longer be tossed about by every wind of doctrine. If the ministry gifts are doing their duty, then the members of the church will mature in this way. Then the sheep will learn to detect potential wolves themselves. Jesus did not tell us to focus so much on the doctrine of these false prophets, although that is also very important. He taught us to test the messengers themselves, not just their message, because you cannot separate the message from the messenger! And the method He gave us for doing so is to test their fruit. To check someone's fruit, look at their ways, their actions, and the results of their actions. Look at their lifestyle, their children, their disciples, their church, and their other works. Find out what the fruit of their works are. If you see good fruit coming forth from their life, then you can be sure that they are not a false prophet. On the other hand, if you find bad fruit, then you can be sure they are not a true prophet. Does that mean this person never makes a mistake? No! Even true men of God make mistakes. The difference is that they correct themselves immediately when they realize they've been mistaken. And when they realize they've sinned, they repent immediately. They don't go on living that way. The apostle Paul's credentials were questioned by false apostles, who were disguising themselves as apostles of Christ (2Co 11:13-15). Paul's response was to show to the Corinthians his good fruit, which were his labors for Christ, imprisonments, beatings, near death experiences, whippings, being stoned, shipwrecked, being on frequent journeys, in dangers of many kinds, as well as his hardships, sleepless nights, hunger and thirst, going without food, in cold and exposure. (2Co 11:23-27). By showing his fruit, he felt he was able to prove his true apostolic calling. Likewise, if someone is loving God with his whole heart, soul, mind and strength, and loving his neighbor as himself, then that's the kind of good fruit you want to find! 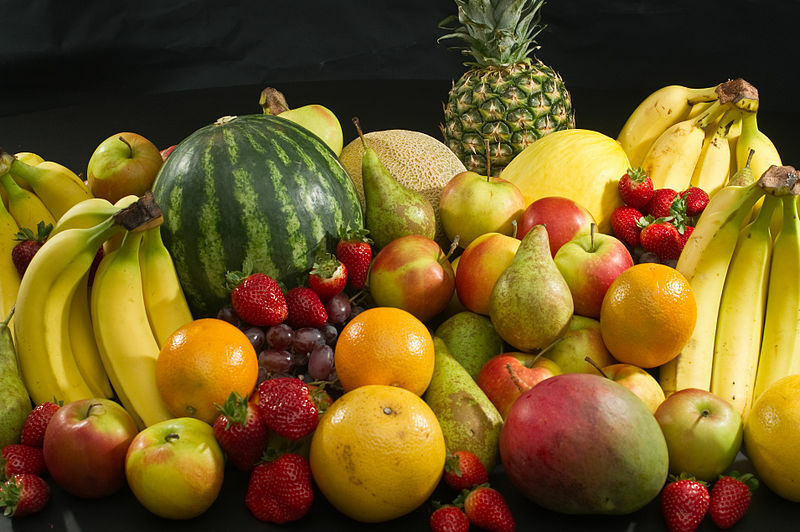 Fruit testing is essential and cannot be bypassed. Yet so many times I see people rejecting a message without bothering to check the fruit of the messenger. My friend, if you are a shepherd over a flock or actively serving the Church as one of the five ministry gifts, you cannot skip the fruit test! You cannot say that you didn't have time or any personal interest in checking the fruit. You have to do it. As the apostle John wrote: "Beloved, do not believe every spirit, but test the spirits to see whether they are from God, because many false prophets have gone out into the world." (1Jo 4:1 NASB). Notice he said, "test the spirits." He then went on to explain by saying that every spirit that does not confess Jesus is not from God. Conversely, every spirit that confesses that Jesus Christ has come in the flesh is from God. It's pretty basic. Peter gave examples of some of the bad fruit that accompanies false prophets and false teachers. For example, they often "deny the Master who bought them," while others are involved in sensuality or greed. (2Pe 2:1-3). Paul also described some aspects he had seen, like pushiness, pride, control, and physical abuse (2 Cor 11:20). Those would be the kind of things you're looking for when testing fruit. But people prefer to simply go strictly on their knowledge of the Bible and what they believe it says, and if someone's message does not agree with that, then they don't accept it. This is not what Jesus taught. If you don't do what He says to do, and you simply call Him "Lord, Lord," you will be cast away from His presence in the end into everlasting destruction. All you have to do is follow Matthew 7 to the end of the chapter and you will see what I mean. Obey Jesus' command on how to test for false prophets, and don't rely solely on your own understanding of the Bible. Likewise, Jesus wants us to check and see if a messenger obeys the words of Jesus, or whether he only calls Jesus "Lord," but does not do what He says. That is the true test of a false prophet, in my opinion. It is not simply making an intellectual evaluation of doctrine (information), analyzing only what a man teaches, and comparing that to your own interpretation of Scripture. It is also not simply a matter of evaluating his gifts. "Or how can you say to your brother, 'Let me take the speck out of your eye,' and behold, the log is in your own eye? "You hypocrite, first take the log out of your own eye, and then you will see clearly to take the speck out of your brother's eye. Just because a person is hated and men ostracize them, insult them, and scorn their name as evil, it does not mean they are a false prophet. The true prophets of God were treated this way. Don't assume without checking the person's fruit! If they have good fruit, truly living in a way that is pleasing to God, and they are hated, ostracized, scorned for the sake of their devotion to Christ, then they are blessed. Just because a person is well-liked and everyone speaks well of him, it does not mean he is a true prophet. False prophets are usually treated this way, so you still need to check fruit. And ask yourself if all men speak well of you. If so, then woe to you! If you yourself are blind, you cannot lead others who are blind. So first be sure that you are not blind. If you say you can see, when in fact you are blind, the Lord will consider you guilty. Don't attempt to test a false prophet without first testing yourself for possible blind spots. If you've got a log in your own eye, then all you will see will be logs in the eyes of others. So don't try to test for false prophets until you first get the log out of your own eye! I call this L.I.E.S., which stands for "Log In Eye Syndrome." Would you want to have an eye doctor or friend trying to remove something from your eye, if they were blinded by a log in their own eye? The Pharisees and other religious leaders of Jerusalem had logs in their eyes, and whenever they looked at Jesus, all they could see was logs or specks. In the end, they said, "He has blasphemed! What further need do we have of witnesses? Behold, you have now heard the blasphemy; what do you think?" They answered, "He deserves death!" (Mat 26:65-66 NASB). I've seen people jump to conclusions like this about true messengers of God, or about their messages. Beware of this and don't repeat the same mistake! The final destiny of anyone who does not produce good fruit is the same as that of a bad tree -- thrown into the fire (Mt 7:19; Luk 3:9; Jn 15:6). This is very serious! It's not your job to burn them. God will take care of that. First make sure you are not the one who's failing to bear good fruit. And then if you test someone else and discover bad fruit, don't follow them or their message. You will know them by their fruits. (Mt 7:20; Lk 6:44). Bad fruit = bad tree = false prophet. Good fruit = good tree = true messenger. Their fruit includes everything that comes forth from their life, including attitudes, deeds, and words. Do not disregard what someone says with their mouth. That's part of their fruit. Their prophecy, vision, dream, teaching, or message will overflow out of the abundance of their heart, so you should check it for evil. They must preach what is in accordance with sound doctrine. Anything they say that contradicts the teachings of Christ and His apostles is bad fruit and is evil. However, the definition of evil is NOT simply anything you disagree with theologically. If you find any evil, then don't receive the messenger. And listen to their words outside the message they give for the Lord. If they speak evil, then you know their heart is full of evil also. There are basically two, possible attitudes you could have when testing false prophets. One is the "Zechariah attitude" and the other is the "Mary attitude." You can find these in Luke 1. When the angel Gabriel told the elderly Zechariah that his wife, Elizabeth would have a baby, he doubted, saying, “How can I be sure of this?" (Lk 1:18a). As a result, Gabriel struck him with muteness until the prophecy was fulfilled. Conversely, when Gabriel told the virgin, Mary that she would conceive a child, she said almost the same words as Zechariah did. She initially said, "How will this be, since I am a virgin?” (Lk 1:34). Yet her attitude was not one of doubt like Zechariah. It was one of faith and obedience, because she later said, "may it be done to me according to your word." (Lk 1:38). The angel and the Lord saw the difference, and she was blessed by God. When you listen to or read a message, and you are unsure whether it is true, approach it with a "Mary attitude" not a "Zechariah attitude." Shouldn't We Search the Scriptures? When Paul preached to the people of Berea, they checked what he said against the word. The Bible says, they were "examining the Scriptures daily to see whether these things were so." So shouldn't we do the same? Yes, but again, your attitude in doing so must be the same as the Bereans. Their attitude was that they "they received the word with great eagerness." (Ac 17:11). When you listen to or read someone's message from the Lord, until your test has proven them to be false, receive the word with great eagerness and definitely examine the Scriptures to see whether the things they are saying are truly so. As I wrote in The Rise of Antichrists, the apostle John warned us that there would be many antichrists. He warned us to test the spirits, and not to believe them all. He gave us a simple way to test them, saying, "Beloved, do not believe every spirit, but test the spirits to see whether they are from God, because many false prophets have gone out into the world. By this you know the Spirit of God: every spirit that confesses that Jesus Christ has come in the flesh is from God; and every spirit that does not confess Jesus is not from God; this is the spirit of the antichrist, of which you have heard that it is coming, and now it is already in the world." (1Jn 4:1-3). According to this simple test, the way you know whether the spirit by which a person speaks is from God is that it confesses that Jesus Christ has come in the flesh. On the other hand, every spirit that does not confess Jesus is not from God. This is a helpful test. However, even then we must be careful, because plenty of false religions confess that Jesus Christ has come in the flesh, such as the Mormons and Jehovah's Witnesses. The Mormons do not believe the Bible to be inerrant, complete or the final word of God; therefore, they have accepted false doctrines that nullify the Word of God. Likewise, the Jehovah's Witnesses believe that Jesus Christ came in the flesh, and they consider themselves devoted followers of His. However, they too hold to false teachings, such as their belief that Jesus Christ was Michael, the archangel, who came in the flesh! They do not believe that Jesus Christ is God. Therefore, while John's simple litmus test of the spirits is helpful, it alone will not expose all false prophets. We should view it as a basic, first-level test of the spirits. That is why we also need the "fruit test" given to us by our Lord Jesus, as well as the "Berean test," which I have already explained earlier. When Does Unity Take Priority? Oftentimes people want to maintain unity in the Body at all costs. But that is not biblical either. Jesus said He did not come to bring peace, but division. "Do you suppose that I came to grant peace on earth? I tell you, no, but rather division; for from now on five members in one household will be divided, three against two and two against three. "They will be divided, father against son and son against father, mother against daughter and daughter against mother, mother-in-law against daughter-in-law and daughter-in-law against mother-in-law." (Luk 12:51-53 NASB). So when is it appropriate to set aside differences for the sake of unity? In the fifth century, Augustine said, “In essentials, unity; in non-essentials, liberty; in all things, charity.” This really sums it up well, so please allow me to explain what it means. If two parties have differing views or practices that are non-essential, and they either cannot come to agreement, or they see no need to be in agreement on those matters, then they should overlook their differences. This is a case where they need to give liberty to one another. Perhaps one party prefers a choir at their church, and the other prefers a worship team. Or one prefers pews to cushioned chairs. Or one likes to shout when he preaches and the other prefers to speak calmly. Or they differ on whether Matthias or Paul replaced Judas as the twelfth apostle. Unity takes priority over these differences. On the other hand, when at least one party believes that the matter is an essential one in the Christian faith, and that it cannot be any other way, then they must work to resolve the difference. There is no other option. One party cannot counsel the other to stop focusing on the matter, and expect to silence them on something they believe is essential. Doing so would violate the person's conscience and deeply held convictions. One example would be if one party believes that Jesus did not come in the flesh. Anyone who does not believe that Jesus came in the flesh is not from God. We cannot compromise on this. So the person who does not believe that Jesus came in the flesh must either get into agreement with the Word or lose the relationship with the other party. The same goes for anyone who does not believe that Jesus is God's Son, or that there are many ways to be saved through other religions apart from Christ. Another example would be if someone receives a revelation from God, such as the Lord speaking to him or taking him to heaven or hell to witness something first-hand. Such a person would have a testimony about his experience and would speak about the revelation God gave to him. If someone else has a reservation about his experiences and his message, they cannot simply dismiss it as not from God, unless it clearly contradicts plain Scripture. Otherwise, they cannot simply say it's not what the Bible says. The person who is confronted with this other one, who's had the revelation, dream or vision from the Lord must do due diligence to test the fruit of the one they suspect could be a false prophet. If they find the fruit to be good, and the message does not contradict Scripture, then they need to come into unity with the person receiving the revelation. "Love is patient, love is kind and is not jealous; love does not brag and is not arrogant, does not act unbecomingly; it does not seek its own, is not provoked, does not take into account a wrong suffered, does not rejoice in unrighteousness, but rejoices with the truth; bears all things, believes all things, hopes all things, endures all things." (1Co 13:4-7 NASB) That's how we should handle someone we suspect could be a false prophet. Our battle is not against flesh and blood, but against the forces of darkness. When Paul said love believes all things, I think there are at least a couple different applications. We should believe all things the person is saying, until we have proven them false. Don't begin with the assumption that what they say is a lie. If you do so, then you yourself may have L.I.E.S. Secondly, assume they are innocent until proven guilty. The US justice system is based on this principle. Give them the benefit of the doubt until proven otherwise, lest you find yourself rejecting one of God's true messengers. You need to love the Truth (2 Thes 2:10). However, bear in mind that we all know just a part of the truth, and we prophesy in part. "For we know in part and we prophesy in part;" (1Co 13:9 NASB). This means that no single individual or church has a corner on the Truth. The Lord has given part of it to various members of the Body, so that we are dependent upon each other. Therefore, don’t just love the part of the truth that you or your church group subscribes to. Ask the Lord to show you the whole truth and nothing but the truth. And remember that the Truth is a Person, whose name is Jesus Christ, and who speaks through His mufti-faceted Body. You need to be very careful you don't reject Jesus in the process of testing for a false prophet. If the person is a true messenger of God and you reject them, then you are rejecting Jesus. He told His disciples, “He who listens to you listens to me; he who rejects you rejects Me.” (Lk 10:16). He also said that whatever you do to the least of these brothers of His, you do it to Him. The way to avoid possibly rejecting Jesus is to prepare your own heart through repentance. Those who had been baptized with the baptism of repentance, by John the Baptist, acknowledged God's justice. (see Luk 7:29). John's calling was to preach that people should prepare the way for the Lord through repentance (see Mk 1:3-4). Those who did so were well positioned to receive Jesus. "But the Pharisees and the lawyers rejected God's purpose for themselves, not having been baptized by John." (Luk 7:30 NASB). Beware you are not like the Pharisees and lawyers, who did not repent. It is possible to repent and to know you have repented, yet, have no fruits of repentance. In that case, you have repented with no evidence. There is no broken heart, no sincerity! If you are like that, then you are positioned to reject God's purpose for yourself. You could easily end up rejecting one of God's messengers, and thereby rejecting Jesus. You’ve got to receive the kingdom like a little child, or you will not enter it at all (Mk 10:15; Lk 18:17). So have a childlike attitude in the way you receive kingdom messengers. Remember that Jesus came to His own, and His own did not receive Him. He also told His disciples, "He who receives you receives Me, and he who receives Me receives Him who sent Me. (Mat 10:40). This means that when you receive a true messenger of God, you receive Him. Therefore, you’ll receive a prophet’s reward, if you receive a prophet in the name of a prophet, and you’ll receive a righteous man’s reward, if you receive a righteous man as a righteous man (Mk 10:40). Conversely, if you do not listen to the prophet of God or righteous messenger, it will certainly not bode well for you. Jesus told His disciples to shake the dust off their feet against the town of those who would not listen to them, as a testimony against them. And He said it would be more bearable for Sodom and Gomorrah in the day of judgment than for such a town. It’s important to always remain accountable, correctable, and teachable, as I have written about in another blog. Appolos was like that. Although he was eloquent, mighty in the Scriptures, fervent in spirit, instructed in the way of the Lord, speaking and teaching accurately the things concerning Jesus, he was only acquainted with John's baptism of repentance. "But when Priscilla and Aquila...took him aside and explained to him the way of God more accurately," he received their input and made the adjustment. So does that mean that we do everything that people counsel us to to or believe everything they tell us to believe? No. Each of us must ultimately determine through prayer, the Word, and the leading of the Holy Spirit what the Lord is saying. There will be times when someone holds fast to what they are firmly convinced of in God's Word to be true, and they don't waiver from it. They sincerely believe the Lord has made it clear that this is an "essential." If they do not back down from their position, when you try to give them input or share your concerns, you should be careful not to assume they are closed to input or refusing to listen. Consider the other possibility that it could be you who is unwilling to listen. Even Appolos, once he made the adjustment, went on to "powerfully refute the Jews in public, demonstrating by the Scriptures that Jesus was the Christ." (Act 18:28 NASB). He stood firm against them in debate. Peter and John are also good examples. The religious leaders of Jerusalem ordered them not to speak or teach at all in the name of Jesus. "But Peter and John answered and said to them, 'Whether it is right in the sight of God to give heed to you rather than to God, you be the judge; for we cannot stop speaking about what we have seen and heard." (Act 4:19-20 NASB). The Council members could easily say that the apostles were not listening to them or not receiving their counsel. I only use this as an example to show that there are situations like this when we disciples need to stand our ground, because we must always obey God, even if it means disobeying man. Stephen was like this, too. Some men from a synagogue rose up to argue with him, "but they were unable to cope with the wisdom and the Spirit with which he was speaking." (Act 6:10 NASB). He didn't go looking for an argument, yet when they brought one to him, he didn't compromise, but spoke boldly for the Lord. The Lord did promise to give us words and wisdom that none of our adversaries would be able to resist or contradict (Lk 21:15). This means there will be times when you need to stand up for what you believe and not back down. Just be meek and humble about it. He replied without horns or teeth, “Unless I am convicted by Scripture and plain reason—I do not accept the authority of popes and councils because they have contradicted each other—my conscience is captive to the word of God. I cannot and will not recant anything, for to go against conscience is neither right nor safe. Here I stand, I can do no other, so help me God. 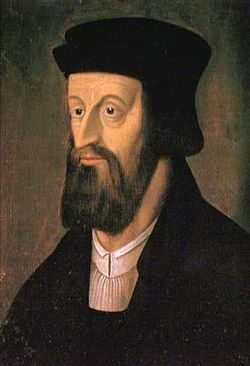 Amen.” There before the Diet of Worms, Germany in 1521, he took his stand for the truth, knowing he could be burned at the stake like his predecessor, Jan Hus. About a hundred years earlier, Hus had preached against the doctrines of the Catholic Church, such as indulgences. His opponents displayed bad fruit in the way they handled it. They also failed to check his fruit. They based their test solely on the fact that he didn't agree with their official position. When given the chance to recant his teachings, he refused to do so. He cried out to God for help, and they silenced him. He later fell upon his knees and asked God with a low voice to forgive all his enemies. His last words were, "Christ, son of the Living God, have mercy on us!" This is another great example of someone who didn't back down from the truth, and whom the Church viewed as a false teacher. Consequently, in 1415 they burned him at the stake for it. I have written about this today, because I believe these are widespread issues in the church. This is not about one isolated incident, but a pattern I have seen in various places. Let's not be ignorant of the enemy's schemes. We live in the last days when deception from false prophets is on the rise. If we were to count all the false prophets in the world today, I suppose it would number in the hundreds or thousands. They are wolves in sheep's clothing. The Church needs to watch out for them, and the shepherds are responsible to identify them. But the Church needs to stop using merely the intellectual test of doctrinal correctness (although that is certainly still needed), and return once again to the true test of the false prophet that Jesus commanded -- the fruit test. Otherwise you could end up rejecting God's purpose for your life and treat true messengers like false prophets. This would be a symptom of having a condition known as L.I.E.S. The Lord knows that this is the evil generation, and that even many Christians are not believing correctly. So in His mercy, He is giving prophecies, visions, dreams, and revelations to many people on an unprecedented level, in order to warn the Church to wake up. But you have a choice to either disregard them all, and throw out their message, or test the fruit of these messengers. There are two dangers affecting the Church -- lies and L.I.E.S. And you need to do your part to guard against both. Attribution notice: Most Scripture quotations taken from the NASB. The images of John Hus and Martin Luther are faithful photographic reproductions of original two-dimensional works of art. 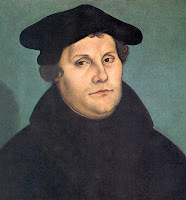 The works of art are in the public domain and images were taken from Wikimedia Commons.The portrait of Luther was done by Lucas Cranach the Elder, a German Renaissance painter. Author's note: Also see Judging Revelations, Visions, and Prophecies, Discerning the Things of the Spirit, Exposing Heresy, A Warning to the Nay Sayers, Scripture Alone, The Rise of Antichrists, Sequence of Signs Preceding the Coming of Christ, and Gifts and Fruit of the Spirit: What's the Difference? And I invite you to visit Eternal Destinations, where you will find many testimonies of people claiming to have a revelation from God, a vision, or a dream. You can find the Main Directory for this blog at Home, and also access my complete blog collection of blogs at "Writing for the Master." Now I'd like to ask a very important question. If you want to know Jesus personally, you can. It all begins when you repent and believe in Jesus. Do you know what God's Word, the Bible says? “Jesus came into Galilee, preaching the gospel of God, and saying, ‘The time is fulfilled, and the kingdom of God is at hand; repent and believe in the gospel.’” (Mar 1:14b-15). He preached that we must repent and believe. Please see my explanation of this in my post called "Do You Want to Know Jesus?" Len Lacroix is the founder of Doulos Missions International. He was based in Eastern Europe for four years, making disciples, as well as helping leaders to be more effective at making disciples who multiply, developing leaders who multiply, with the ultimate goal of planting churches that multiply. His ministry is now based in the United States with the same goal of helping fulfill the Great Commission. www.dmiworld.org. Gifts and Fruit of the Spirit -- What's the Difference?